Hence, the desert is not the place one plans on visiting for any length of time nor does one purpose to live in the desert. One does not go to the desert looking for water, lush vegetation, or a shaded place to rest. 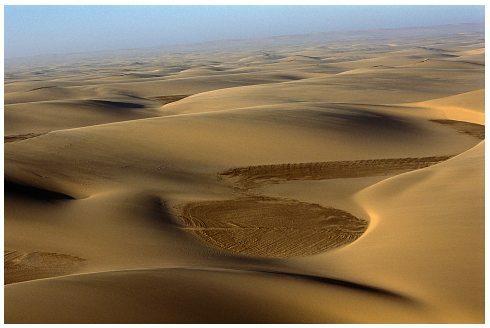 The desert, in most of its incarnations, is a “barren wilderness” where only the strongest survive and ALL are put to the test. It is interesting to me that after the baptism of our Lord (Mt. 3) he entered into the desert (Mt. 4) for 40 days to be tempted by Satan. His desert sojourn preceded a short public ministry, rigged trial, torture, crucifixion, death, burial & ultimate resurrection. Why is this important? Lent, a season marked by repentance and return, is our collective call to enter into our own desert to face those temptations, habitual sins, unhealthy habits and / or any other stumbling block that is keeping US from entering into a deep and abiding relationship with the Lord Jesus Christ. The reason why we hesitate to enter into the desert and embrace our Lenten pilgrimage is the fact that facing SELF is probably one of the hardest things a human being does in his / her life. When we take time to stop, look within and uncover truth what we find is not pretty. We find the sinful self. Acknowledging those things which challenge authentic faith we should embrace this Lenten journey. The 40 + days of Lent is our collective opportunity to embrace what we find during our desert experience, repent and return to that relationship Jesus so desperately wants to have with you. Remember, you don’t have to journey alone. Although Jesus sojourned in the desert alone, we don’t have to. Each of us can embrace the fact that we have access to the community of believers (Body of Christ), ministry leaders, deacons, priests & religious. This is not for just counseling but spiritual direction. We can look to those individuals who have gone before us, waged similar battles and won (in Christ). Personally, I seek the wisdom of a priest at reconciliation. My rhythm, after personal devotion and self-reflection, is to spend 45 minutes speaking with a priest (spiritual director) and then 15 minutes of confession followed by penitential action. I find this extremely helpful on a number of levels. First, spending time with a spiritual director gives one perspective on the state of one’s self. I am or can be my own worst enemy. The priests in my life have been fonts of wisdom bringing me back to the development of proper perspective relating to my spiritual well-being. Second, there is power in confession. There is nothing like a clean slate and it is Christ’s work on the cross, his grace and the absolution / peace we find through confession that brings wholeness into our lives. Finally, the finishing work of penance helps one quiet the mind so that one can reflect on that moment of healing – gaining vision for the road ahead, in Christ. So today, let me encourage you. Embrace your Lenten sojourn no matter where you are at on your journey towards Christ. The hard work of prayer, fasting and alms-giving serves to remind us of our ultimate need of Him, leads us to wholeness and brings us to the doorstep everlasting life. Thanks for this reflection, direction, and example of how you live your faith Eric! It is so good to know of others on the journey with Jesus! It is always good to hear from you sister. Enjoy Lent. See you soon! A real good reflection,well written and hopefully followed. Let us all go into our own desert during this 40 days of Lent and come out as carries of light to build the church.